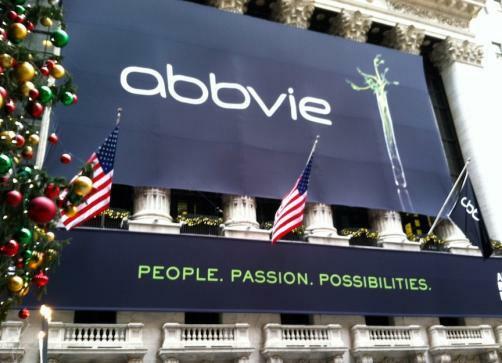 AbbVie (NYSE: ABBV) has announced the acquisition of Stemcentrx, and its lead late stage, lung cancer candidate Rova-T (rovalpituzumab tesirine), in a deal worth $5.8 billion. Under the terms of the deal, AbbVie will pay approximately $2 billion in cash and fund the remaining portion with stock. The company expect the transaction to decrease earnings per share by $0.20, with accretion beginning in 2020. Stemcentrx has four compounds in clinical trials across several solid tumour indications and Rova-T is one that has been submitted to the US FDA for breakthrough therapy designation. It is a biomarker-specific therapy that is derived from cancer stem cells and targets delta-like protein 3 (DLL3) that is expressed in more than 80% of small cell lung cancer patient tumours. As a targeted antibody, it deliversa cytotoxic agent directly to the DLL3-expressing cancer cells while minimising toxicity to healthy cells. In Phase I/II studies, Rova-T demonstrated overall response rates of 44% in patients with a high expression of DLL3. This efficacy suggests the compound may also beneficial in treating other forms of cancer which express DLL3, such as metastatic melanoma, prostate, pancreatic and colorectal cancers. AbbVie currently markets Imbruvica and Venclexta, which treat chronic lymphocytic leukaemia.